Gary Eirich started his career in Medicine Hat, AB in January 1978, working for Halliburton Services in their open hole wireline division. He worked at Halliburton in Medicine Hat from 1978 to 1982 at which time Gary moved to Brooks, AB where he gained employment at Sunburst Perforating. Rudy Slaney started his career in Whitecourt, AB in February 1978, working for Halliburton Services in their Slickline Division. Rudy worked at Halliburton in Whitecourt until 1981 when he moved to Brooks, AB and gained employment at Plains Perforating. Chris Eirich started his career in Brooks, AB in 1994, when he went to work for Heartland Perforating where he contributed to build Heartland into a successful business. Originally, Gary Eirich and Rudy Slaney met in Brooks, Alberta in 1982. Gary was working at Sunburst Perforating and Rudy was working at Plains Perforating. After meeting, their friendship developed and in 1989 Gary went to work at Plains Perforating which only made their friendship stronger. Gary and Rudy followed each other from Plains Perforating to Heartland Perforating in 1992. It was when they were working for Heartland Perforating in 1994 where Chris Eirich came to work for Rudy and Gary to further strengthen the team. They developed their business strengths at Heartland as they had to introduce a new company into the southern Alberta marketplace and see if they could draw cliental to support them. 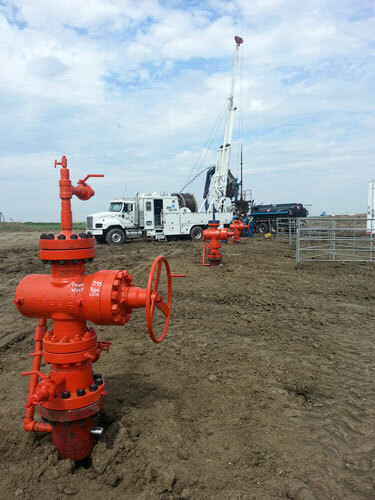 With their help Heartland became a very successful company in southern Alberta and southern Saskatchewan, then in 1998, was bought by a major wireline company. At that time Gary, Rudy and Chris gained financial support from Alpine Wireline and started their own company called Excell Logging and Perforating based out of Brooks, Alberta. Excell Logging became a successful start-up Wireline company based out of Southern Alberta and in October 2001 Alpine Wireline was purchased by another major company. Excell Logging and Perforating was also included in the purchase as Alpine Wireline was the major shareholder. In 2001, when Excell Logging was purchased, Gary, Rudy and Chris bought shares in Big Guns Energy Services. Gary, Rudy and Chris introduced Big Guns Energy into the southern market as they had done in the past with Heartland and Excell Logging. The trio helped Big Guns develop not just in southern Alberta but into Saskatchewan where they work in the Viking Hz market and the northern part of Alberta including the oil sands where Big Guns Energy works with major oil companies in a global environment. On May 1, 2014, Gary, Rudy and Chris acquired assets from Big Guns Energy Services and formed Big Guns Wireline Services. We look forward to the challenges ahead and are very confident that Big Guns Wireline Services will provide exceptional wireline services in southern Alberta and Saskatchewan.